Heat oil in kadai, add cumin seeds, hing, tomato, ginger garlic paste and mix well. Cook for 1 minute or till tomatoes soft. Add turmeric powder, red chilly powder, and coriander powder, salt and mix well. Add crushed peanuts and gilka and mix well. Add ½ cup water, cover pan with lid and cook for 10 to 12 minutes or till done. Stir occasionally. 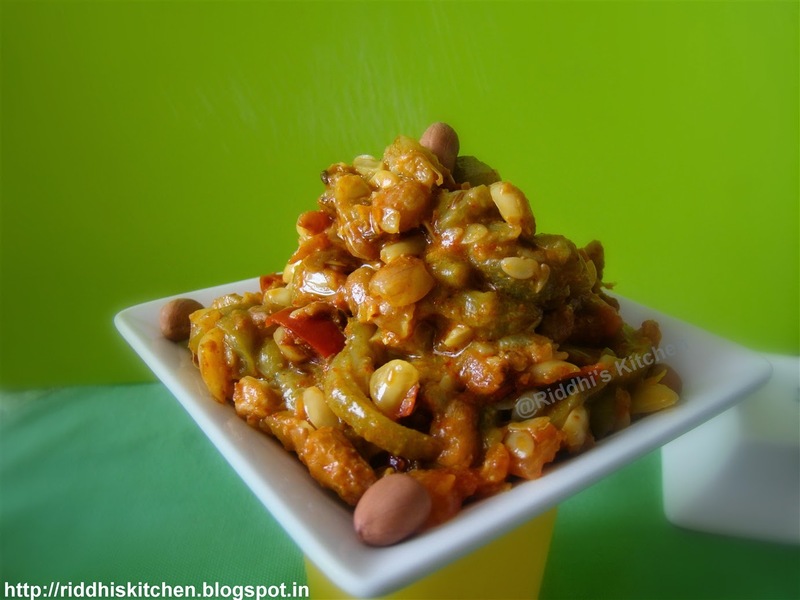 Garnish with some peanuts and Serve hot with roti.